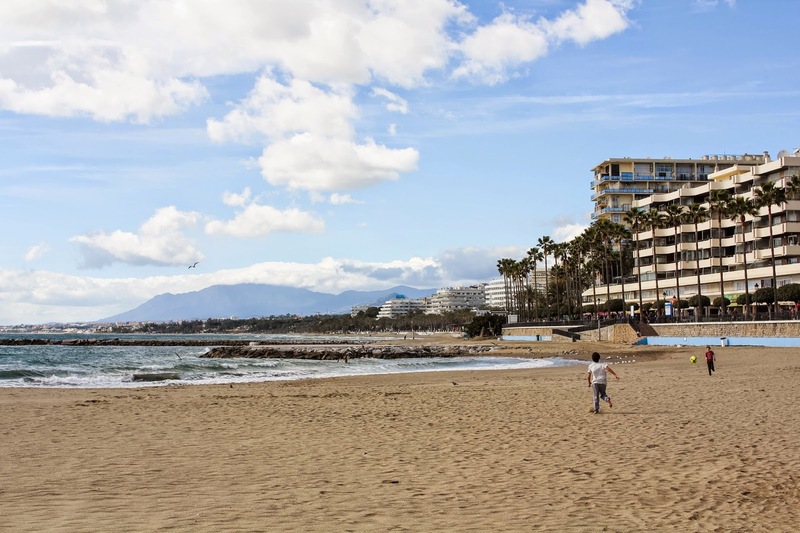 During our stay in Málaga, we decided to take an impromptu day trip to Marbella. 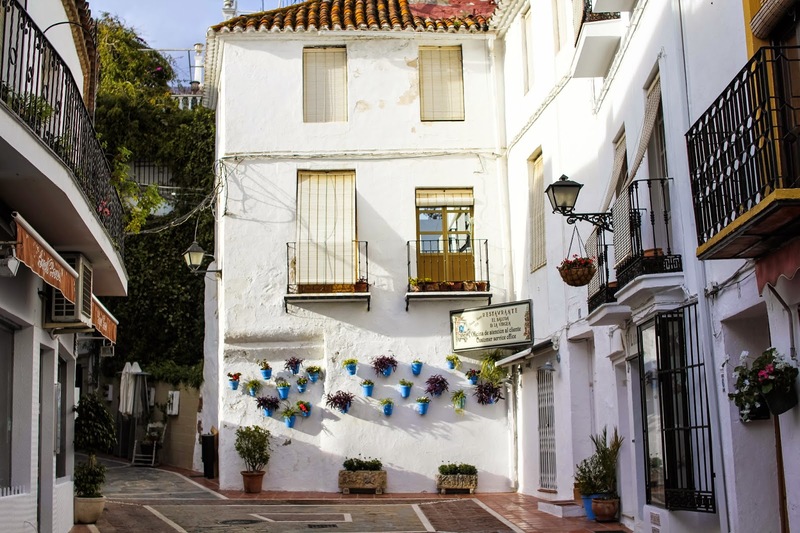 Just a 50 minute bus ride from downtown Málaga, this charming getaway is arguably the most picturesque town on the Costa del Sol. 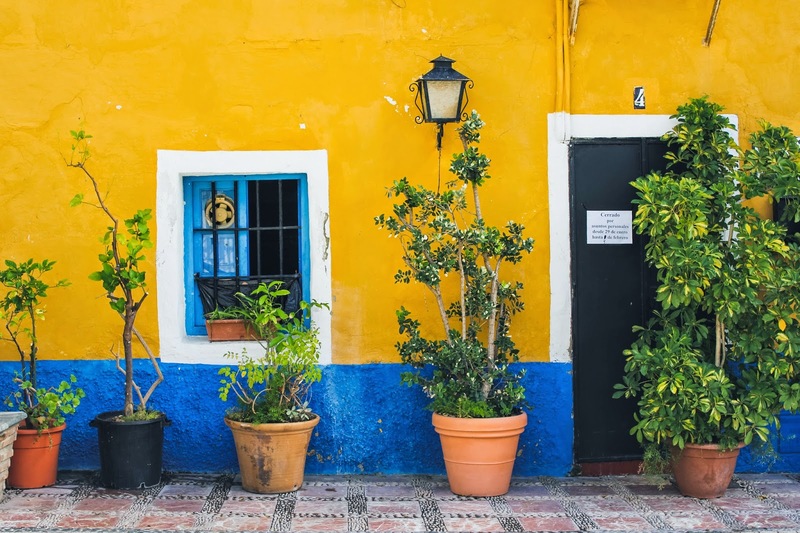 However, we were only interested in wandering through the colorful alleys, admiring the picture-perfect plazas and buildings in the casco antiguo (old town), strolling along the sparkling Mediterranean, and sipping tinto de verano in the sunshine. 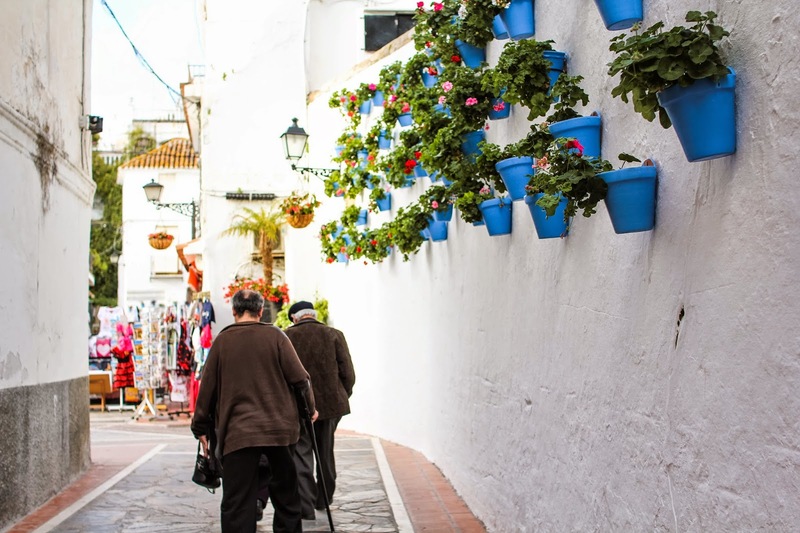 As it turns out, you can be completely broke and still have a great time in Spain's ritziest town. 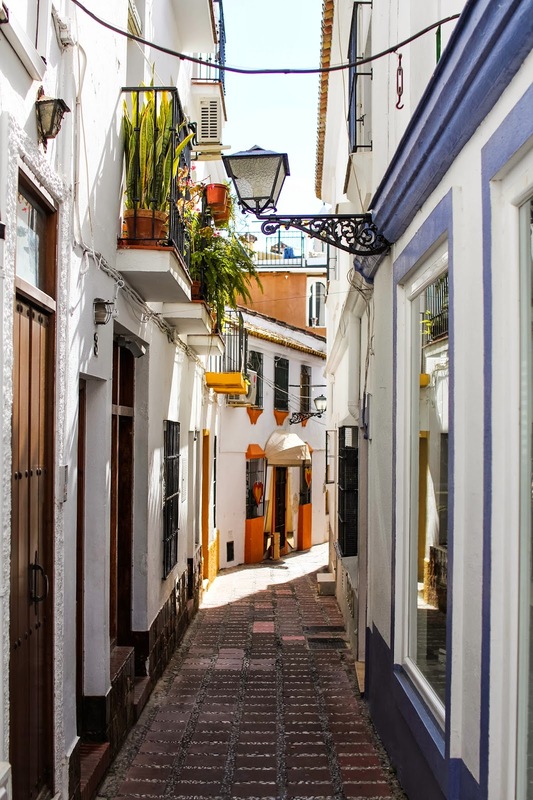 Marbella may not be the best place to eat, shop or sleep for your average budget traveler, but it's certainly the perfect place to take in gorgeous scenery, get lost in picturesque alleys, and take in all the beauty that the Costa del Sol has to offer. Maybe one day I'll be able to afford Marbella's luxurious 5 star resorts, spas and golf courses... and finally spot Señor Banderas, ¡olé! But for now, I'm completely content having been able to enjoy the southern charm of Marbella practically for free. 46 comments on "Southern Charm in Marbella"
Wow, it's so colourful! What a beautiful place. Looks like you had fun! Ahhh it looks so warm....I can feel it through the screen :) Looks like a fabulous place....I'm hoping to make it back to the South coast of Spain one day!! Such beautiful photos, Courtney! 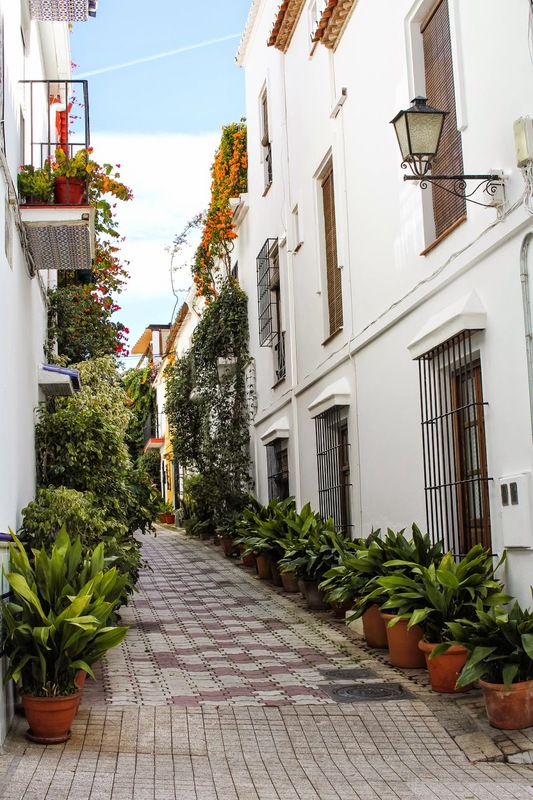 I had no idea Marbella had such a beautiful old town—always assumed it was all mass tourism ;) It reminds me a lot of Córdoba what with all the flower planters and everything. 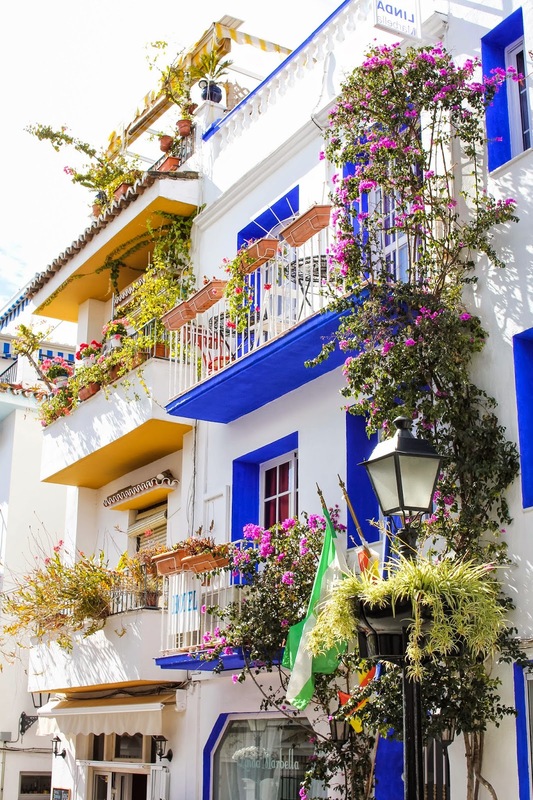 I have some family that live in Marbella and we thought about adding it to our Spain itinerary but just ended up not having the time... looks gorgeous though! I hope you make it back sometime soon too! The warmth + ocean is definitely a cure-all! Same here, it was one of my favorite parts!! That's awesome that you have family there! I think you made the right decision if you're only going to be in Spain for a limited amount of time though. I'd definitely recommend Sevilla and Granada over Marbella if you can only spend a few days in the south! Those photos are just gorgeous, Courtney. 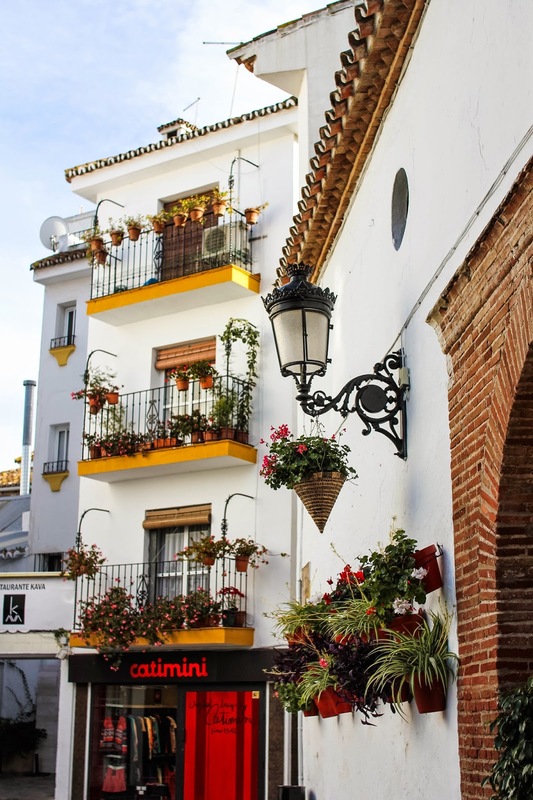 I only visited Seville when I was in southern Spain in October, but I'm adding this town to my list for next time. Gorgeous photos! 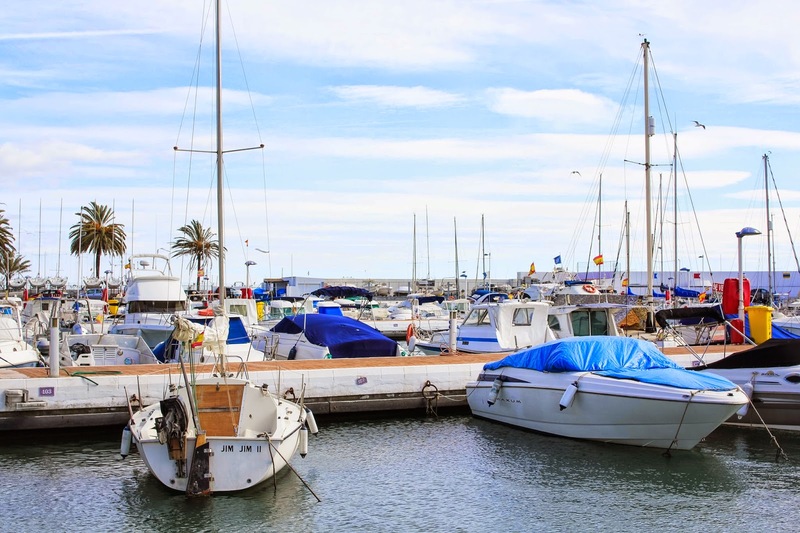 Definitely adding Marbella to my Spain wanderlist! These pictures are amazing, so bright and colorful! I am about to start a GoFundMe for a trip to Spain. 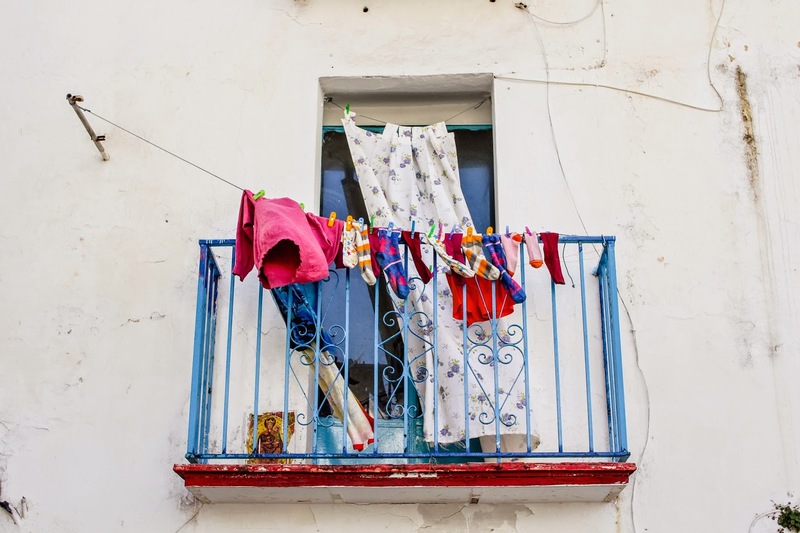 Gorgeous pictures, and even more reinforced why I need to get to Spain someday (I've always been fascinated by the country and culture!). I love the white buildings and all the pops of color. 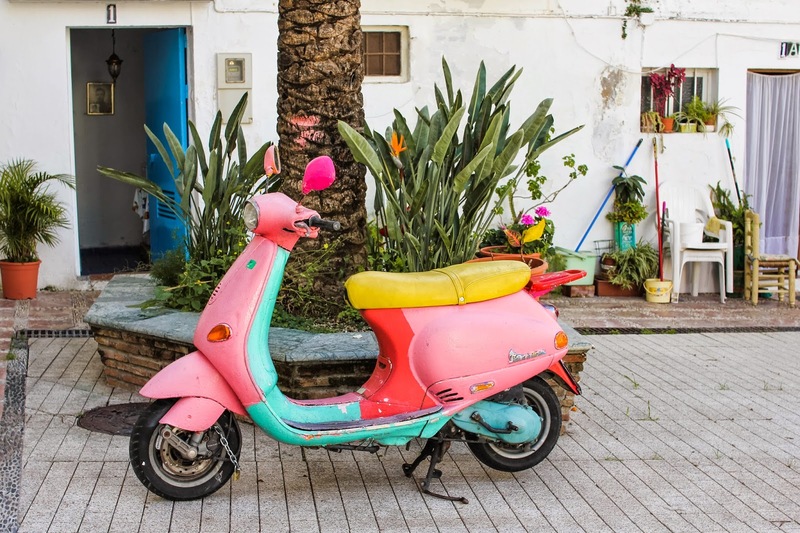 And how cute is that pink/mint vespa?! I DIE!!! It's definitely worthy of being on the list!! 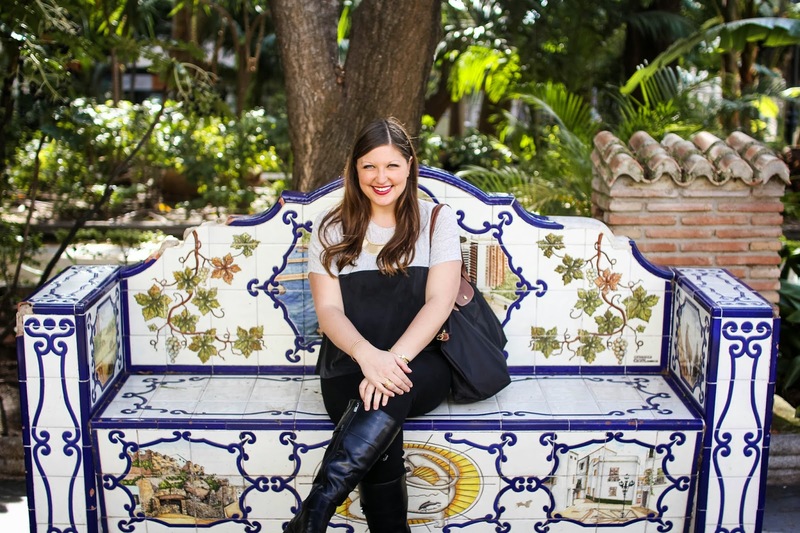 Ooh, Seville is my favorite :) Southern Spain just has a certain magic to it! This is AMAZING. Seriously, next on my list for Andalusia! I'm going to pin so much of this post, it's so beautiful :) I can just feel the Spanish sun rays and the taste of tinto de verano right now! An absolutely beautiful town! I would go just for the chance that I could possibly run into Antonio Banderas. Beautiful photography as usual! I feel the same way ;) Thanks Angie! It's definitely worthy of that list! Gracias Gina :) I'm glad it brought a little bit of southern sunshine into your life! 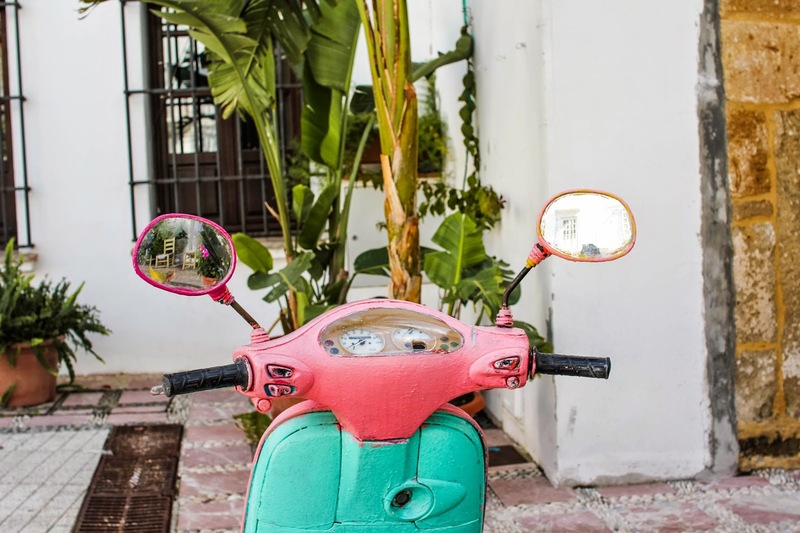 I want that pink scooter so so much, it is adorable! Hahaha, I LOVE the part where you said you could be broke and enjoy this place! Sometimes I get really frustrated when I arrive at a place and realize how event-based the city is. For example, in Austin, it's a great city to live in, but to fully enjoy it, you need to drop some pretty serious money to get in all the events and live music shows. It's SO BEAUTIFUL. I loved wandering that old town. And I have that exact same picture of that motor bike! I was there over a year ago, too, so I'm surprised it's still there! Love, love love these pictures. I thought we had the most gorgeous vespa's here in Rome - but omg that vespa is just perfect! 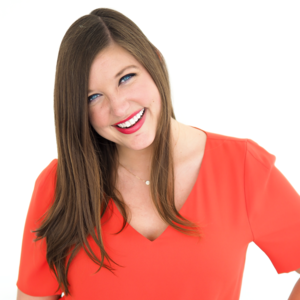 What a delight to have stumbled upon your blog! 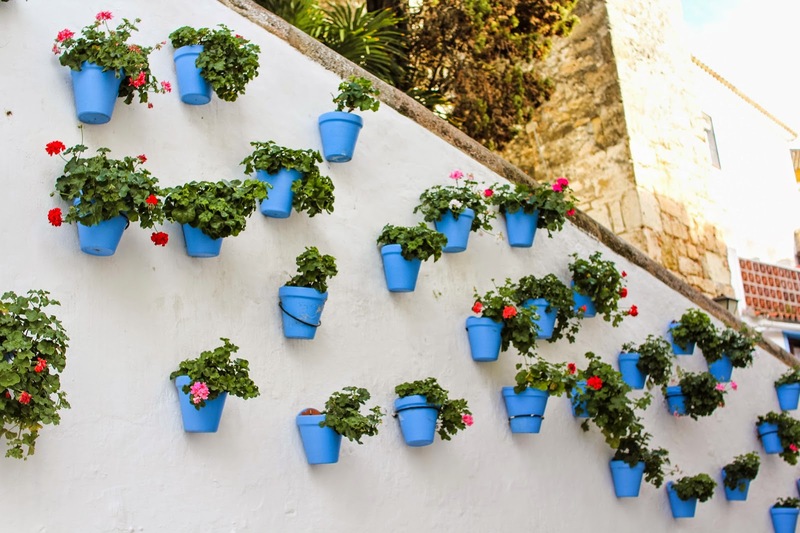 I love the pictures...and dang, Marbella looks so colorful and beautiful. Am simply in love with these shots, from the composition to the use of colour! I need to get myself to Marbella! But seriously, I'd love to see how beautifully you captured this insanely picturesque town! Do you have a post about it? If so, I wanna seeeee! Thank you Andrea!! Marbella was definitely a photographer's dream, but I don't think I'll ever be able to accurately capture the breathtaking beauty of Spain! Gorgeous photos, as always! I had no idea Marbella was so pretty - I'd only heard about it being crazy corrupt and full of sunburned Brits and Germans. By the way, one thing I love about Spain is that you can have an awesome time on a tiny budget, even in the ritziest places like you mentioned.